All software mentioned above is freeware. I do not advocate illegal file swapping and/or distribution of copyrighted material. Make certain that the ring tones you will be editing and creating originate from your very own collection. Please do not contact me to help you or "your friend" to find music files. Use this guide at your own risk; I do not guarantee success. This tutorial is for educational purposes only. This guide was created for the Motorola Vxxx series specifically, however it may be applicable to other handset models. If you continue to use or read this tutorial, you agree to these terms set forth. The following tutorial will be provided to offer you optimum results. I've been working with digital audio files for several years, but if you insist on going against my recommendations, do so at your discretion. We will be working with two types of audio files; WAV and MP3. 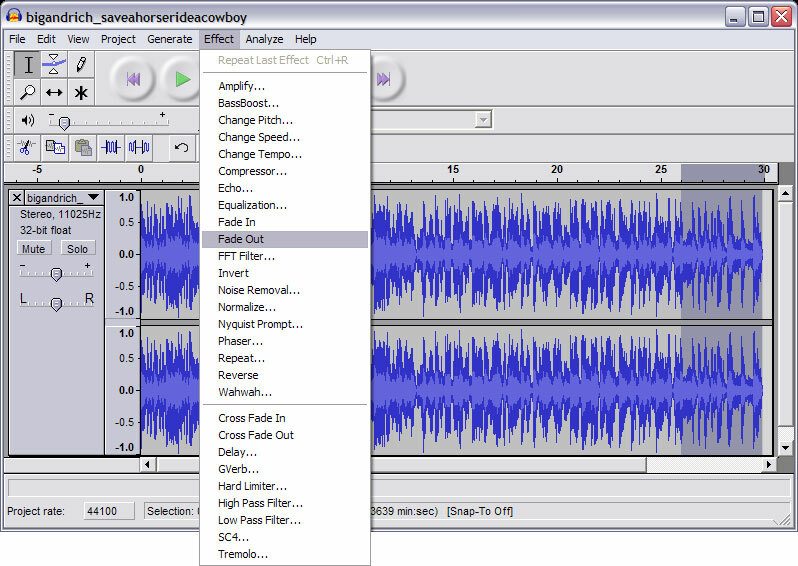 You're going to want to begin and edit your ring tone in the Microsoft WAV file format, and then encode in to the compressed MP3 file format to save space on your phone. To begin, you'll need to locate your source audio file. 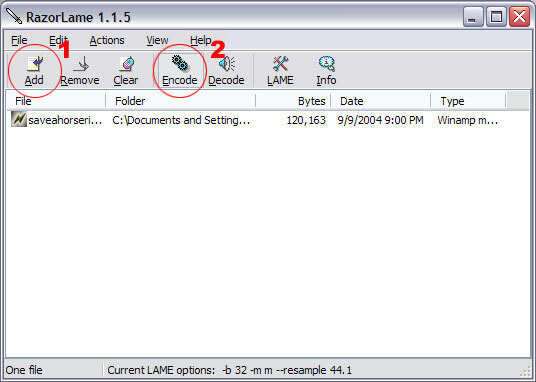 If it is a song from a CD, you'll need to "rip" the audio from the CD to your PC. 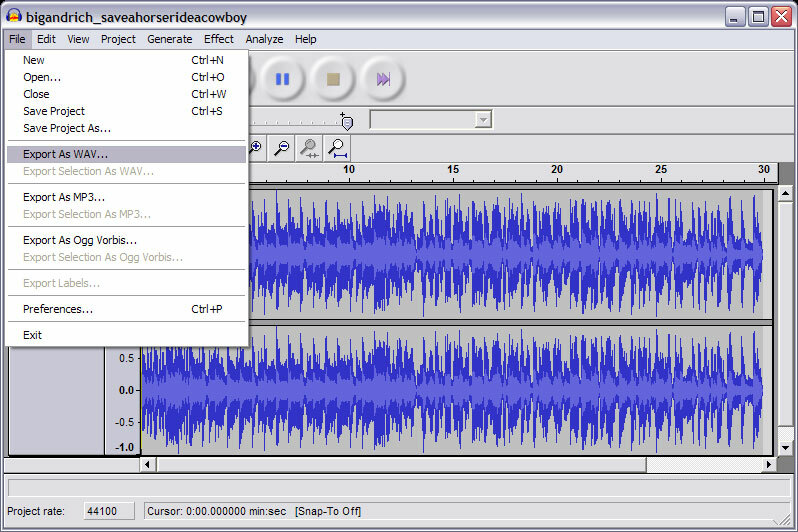 The easiest way to accomplish this is with Audiograbber. 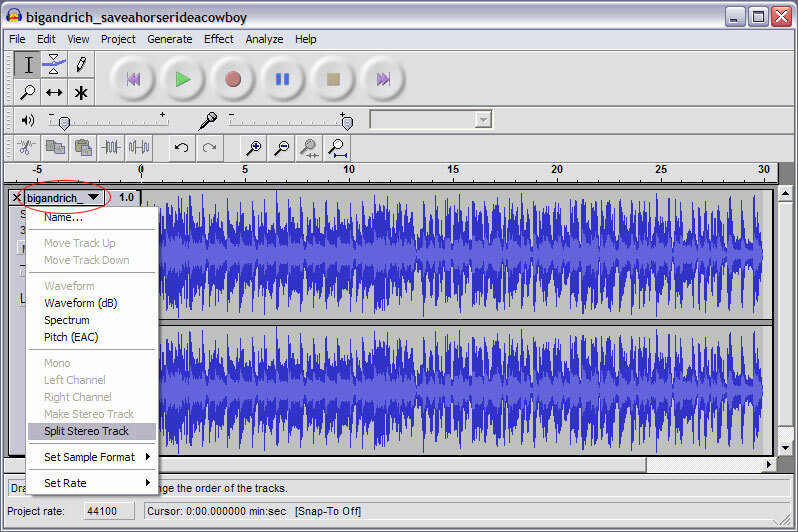 Let's begin with editing our audio file for a ring tone. Install and open Audacity on your PC. 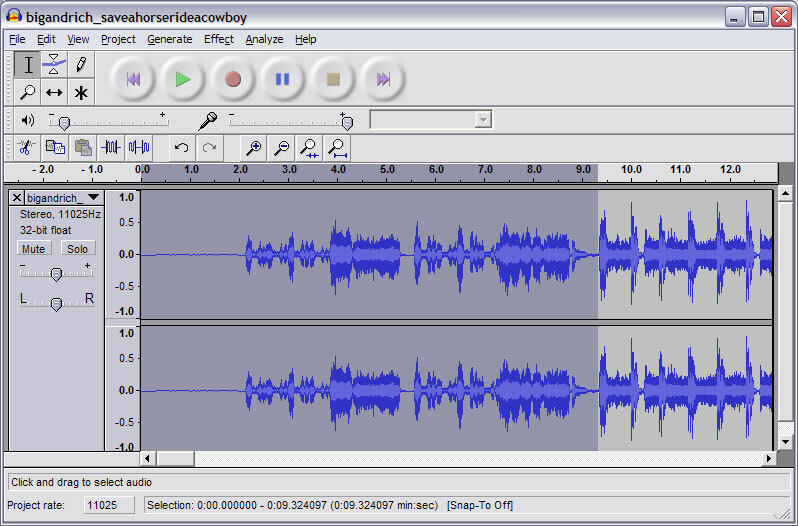 Audacity is a very user-friendly and easy program to use and navigate around. Most all of the tools you'll ever use and need are right in the toolbars displayed. We'll touch on some of the advanced features in a little bit as well. Keep in mind also that the Motorola Vxxx series phones have one, small, mono speaker in the back of the phone that isn't capable of reproducing lower bass frequencies all that well. If you SEEM edit the speaker, you can risk a blown speaker if you raise the gain too high. 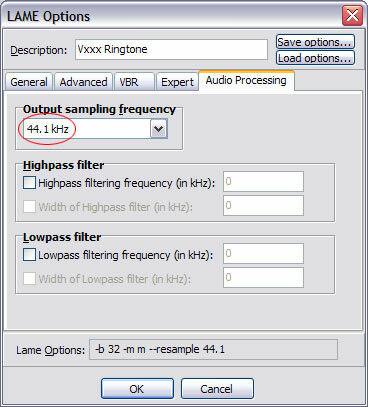 The ideal specifications are as follows: maximum 25 seconds in length for a ring tone. When exporting your final file, 22.05 kHz is the ideal sampling rate. 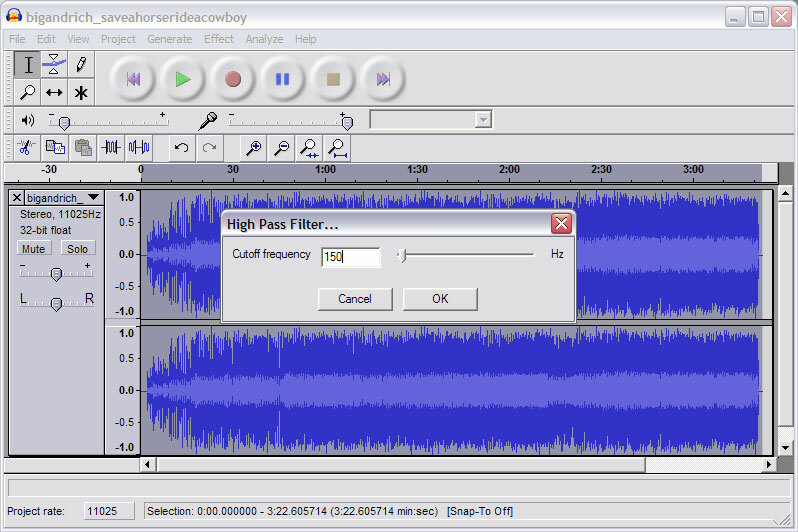 [ Screenshot ] Although Audacity does have its own option to export to mp3, I recommend against it since the encoding properties aren't that good. 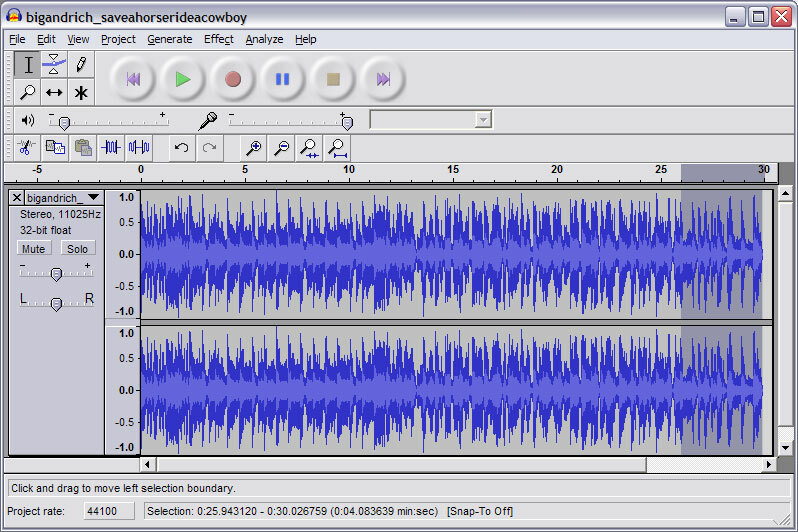 I recommend you to "split" your stereo track into a single track (i.e. to export and/or encode elsewhere), so you'll want to click your project properties and select 'Split Stereo Track'. 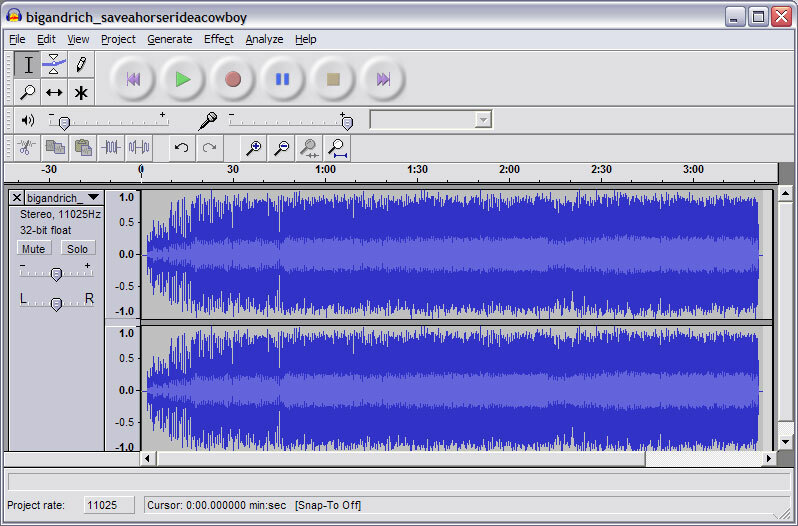 [ Screenshot ] The Vxxx series is incapable of telling the difference between stereo or mono, but the purpose for splitting the track here is for saving file size. You will need to make the single track a mono track as well. To do so, close one of the two split tracks, then select the entire project (Edit > Select > All or simply 'Ctrl+A'), then do a 'Quick Mix' (Project > Quick Mix). The software will recognize a soliatary track and mix to mono automatically. 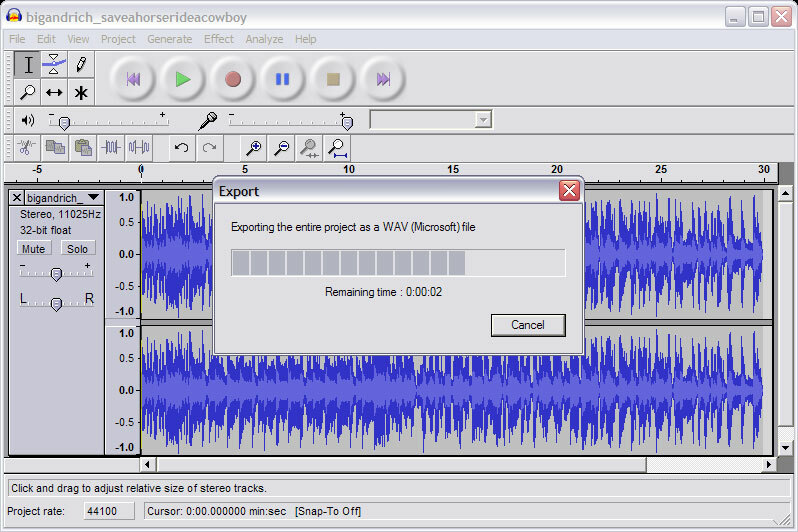 Now, once you've edited your audio project how you want it, you'll now want to export your project to a WAV file. [ Screenshot 1 ] [ Screenshot 2 ] Save it to a location where you can easily retrieve it; your Desktop as an example. Now, here's where we can get a little more advanced with your new ring tone. To increase the overall volume of the original project, you'll need to select the entire project (Edit > Select > All or simply 'Ctrl+A'), and select 'Effect' from the tool bar, and then 'Equalize'. 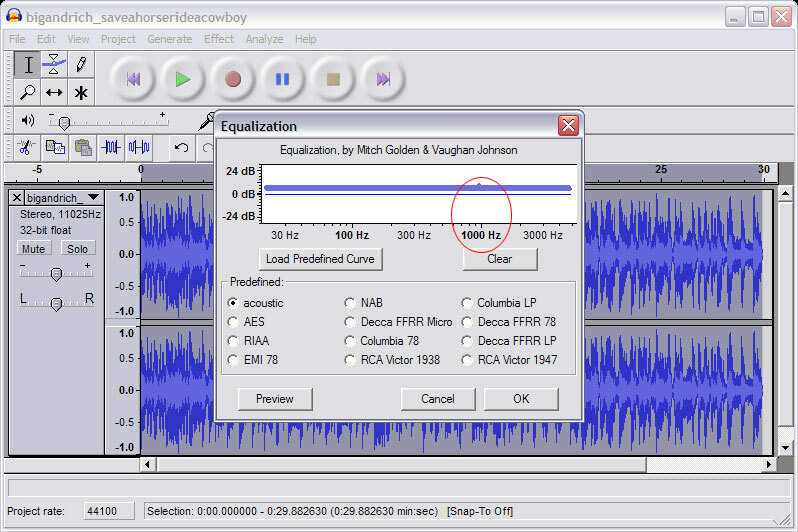 [ Screenshot ] The equalizing menu will appear, and you can raise or lower the final output volume and adjust it however you deem necessary. [ Screenshot ] Adjust it by clicking, holding, and dragging the bar as you please, higher or lower, but I'd recommend going no higher than +9 db at 1000 Hz. Any higher than that, and you'll be introducing distortion and unwanted noises in your final mix. I mentioned earlier about the Motorola Vxxx series just having a single, mono speaker that is incapable of reproducing low bass sounds. If left in your tones and played at higher volumes, you run the risk of blowing out the speaker. I recommend an absolute lowest setting of 85 Hz. 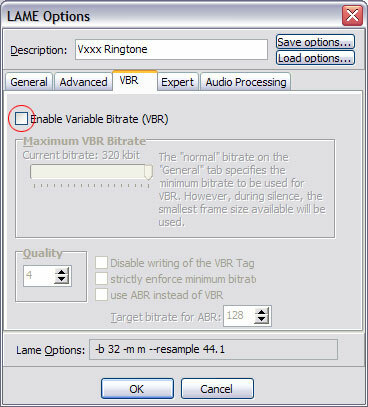 Anything lower than 85 Hz can damage your speaker when a file is played back at maximum volume, especially if your gain_table.bin has been "hacked". Nominal setting should be at around 150 Hz. Once you've edited and are satisfied with the end results, export your project to WAV like in the above section. 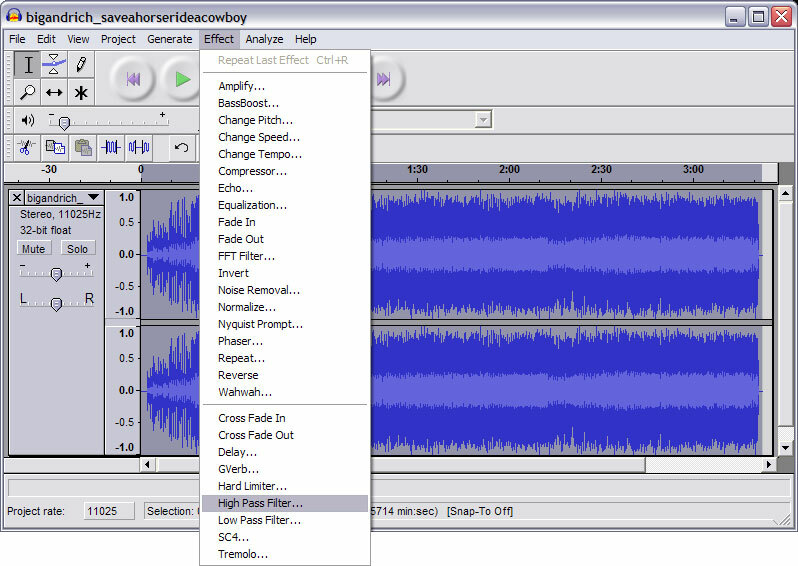 WAV is uncompressed and is the ideal medium to create a compressed MP3 from. Now that you've edited your file and exported it to an uncompressed WAV file, we'll now want to compress the file into an MP3 file. Why MP3? First of all, MP3 compression is revolutionary in that very little audio quality is sacrificed... unless you're a dog or view the file in some sort of spectrometer, you'll never really hear or notice a difference (except for lower bitrates, but c'mon, it's a phone, not an iPod). 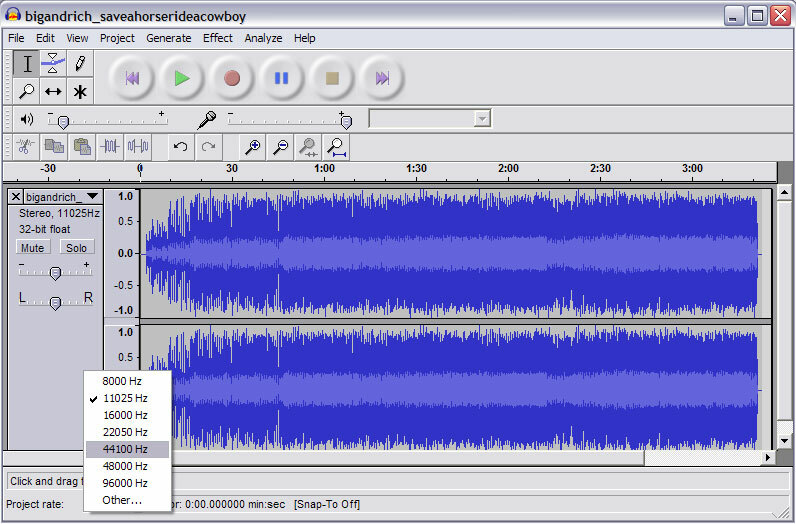 The real reason for MP3 compression is that you can compress your high-quality audio into a fraction of its original file size. Case in point, the project I was working on in these screenshots had a WAV file that was 600 kb, however once edited, mixed down, and completed, the final MP3 was under 117 kb. Since the Motorola Vxxx series has approximately 5 MB of available user space to upload ring tones, wallpapers, and videos, that's a huge difference. 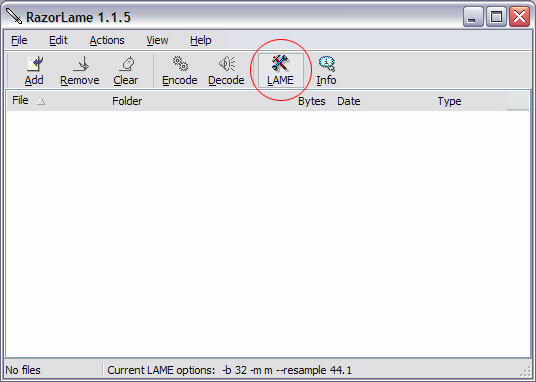 Install and open RazorLame on your PC. RazorLame, in my opinion, has the very best features and compression engine I've worked with. It is also very easy to work with. 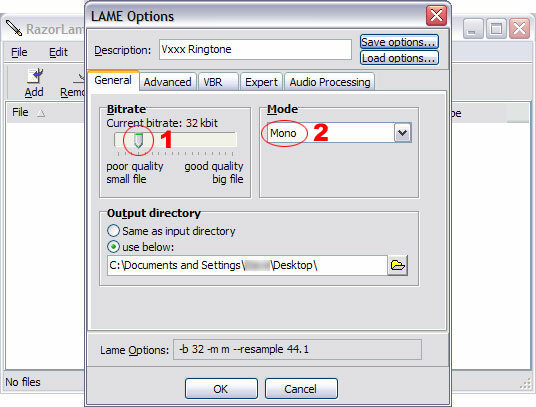 Final specs for an optimal mp3 ringtone should be at 32 kbps (constant bitrate) / 22.05 kHz sampling rate / Mono / 120 kb file size or less. Remember, file size is more critical vs. audio quality since there's only one little speaker. E398 users : this guide is applicable to you as well, however since this phone does feature dual stereo speakers and TF removable memory, so you could compress your mp3's at 64 kbps in stereo. Last updated Sept. 23, 2004 by NineToez. Thanks soren.